Y3S Loans is the country’s leading secured loans master broker, completing more business than any other UK broker in its field. Business is procured via the telephone and through the provision of miloanbroker.com, a secured loan sourcing system offered free of charge to financial intermediaries. miloanbroker.com is the UK’s fastest-growing loan sourcing system for mortgage brokers, generating £3.2m of revenue in 2013/14. With over 50 per cent of its target market on board, miloanbroker.com enjoys a ‘best-in-class’ reputation and is the benchmark for those who wish to create similar systems. When the company was established, there was a gap in the market for a quality secured loan sourcing system for mortgage brokers: The secured loan industry is still very much ruled by paper and pen and before miloanbroker.com was developed, there were very few choices for mortgage brokers who wished to source secured loan quotes online. Only two other providers of loan sourcing systems existed; one was a secured loan broker with an antiquated system built ten years ago, and the other a software house, with a very limited knowledge of the secured loan market, offering a system for a monthly subscription. By using the latest development tools, clean design and an intelligent structure, the company has been able to attract a large number of users in a short space of time and the system now generates a substantial and consistent income on a monthly basis. The most difficult part of the first three years was meeting the capital requirements to develop the system, and the cost of maintaining it with very little income being generated until the system gained a foothold in the market. Main factors are finding a rare niche in a market that was due to experience rapid re-growth; the recovery of the secured loan sector that became almost defunct in the depth of the liquidity crisis in 2008; and developing complex software and displaying it in a simple-to-use interface. 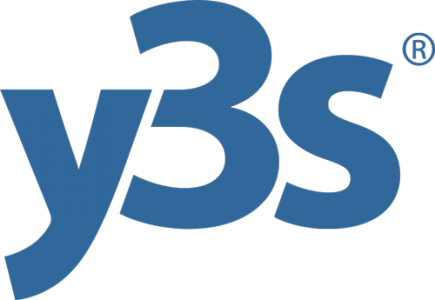 Y3S Loans plans to expand its business user base through continuous reinvestment in people and processes and the development of miloanbroker.com.